Daniel finds himself back living and working with his best friend Emma - but things have changed while he was away. Emma sold a house, now she's more of a real estate agent than him. Daniel has to prove that he has what it takes to earn his place in the family business and Emma needs to decide whether small town life, and its dangerously disinhibited locksmith, Damien, are enough for her. When Barbara passes on the offer of a speech at the local primary school (and tuckshop duty), it falls on a very reluctant Daniel to step in. Buoyed by Emma, Daniel concedes that facing down his classroom fears may actually promote the business. Daniel's resolve is put to the test when he and Emma are accused of stealing at the local store and duly banned by local student, Tyler. Whilst on tuck shop duty, Emma and Daniel seize the opportunity to inspire the next generation of Rosehaven in their own very unique way. And, when Daniel sees bullying in the playground, he's compelled to intervene. It's Daniel's birthday and Emma is planning on throwing a party. But Daniel is in no mood for a celebration. 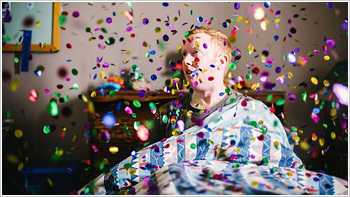 After all, his birthday wish of selling a house remains unfulfilled and his girlfriend Grace is still on the mainland. Spurred on by mum Barbara's ridicule for not achieving his goal, Daniel vows to get a listing by the end of the day. Emma suggests finding people holding a Garage Sale — a sure sign of an impending sale! As luck would have it, they encounter Steve an owner planning to sell. However he isn't convinced Daniel is up to the task. Faced with a ticking clock and a challenge to perform, Daniel realises it's now or never to secure his first listing. When a blackout plunges Rosehaven into darkness, evening plans are thrown into turmoil. Trapped by candlelight, Daniel, Grace, Emma and Barbara must fall back on actual conversation to get through the evening. Much, it seems, at the expense of Daniel whose hackles gradually rise. 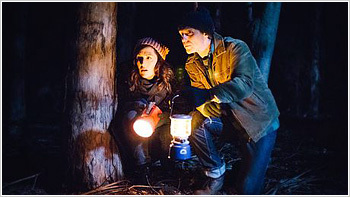 Damien's arrival rescues Emma and as they take in the nocturnal sights of Rosehaven, long standing matters between Barbara and Daniel come to a head back at the house. It's sales vs rentals as Daniel and Emma take sides in a dispute. Steve, who listed his house with Daniel, has an unusual complaint about an adornment on his neighbour's house. Desperate to hold on to the listing, Daniel agrees to help. However, the neighbour is Gez from the local op shop and after hearing her side of the story, much to Daniel's chagrin, Emma supports Gez. As both sides dig in their heels, Emma oversteps the mark, placing the business and their friendship in jeopardy. Only a miracle will get them out of this. Rosehaven is under siege. Overnight the main street, including McCallum Real Estate's shop front, has been covered in graffiti. The letters "SD" have been spray painted everywhere. Who or what is SD? Emma is keen to investigate. When Daniel learns that his nemesis Bruce will have to move out of his rental, he is thrilled knowing that Bruce will now have to come to him asking for somewhere else to rent. Finally, Bruce will need something from Daniel and it's time for REVENGE! Meantime, attending a final inspection for a rental, Emma and Daniel get more than they bargained for. While the property is well kept, the current tenant has gone to town with some unapproved, bespoke interior design choices that defy belief. Who on earth will rent it now? It's the annual Rosehaven Hops Festival and Emma is primed. Not only is she entering the costume competition, but her Mum Pam is also visiting Rosehaven for the first time. Now is Emma's chance to make her mark as a local and also show her Mum how well she is doing. Meantime, Daniel's client Steve delivers an unexpected ultimatum 䃀 unless the house is sold in two days, Daniel will lose the listing. 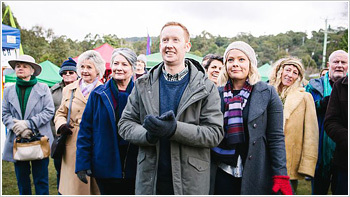 Finding Rosehaven underwhelming, Emma's mum tries to convince Emma to return to the mainland, but Emma has other plans. Hoping they can fix everything at the Hops Festival, Daniel and Emma set about their tasks. 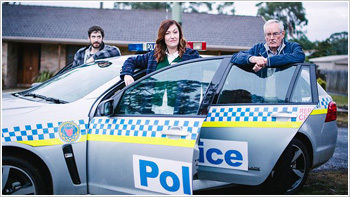 As Daniel tries to secure a buyer, Emma goes about proving to one and all that she belongs in Rosehaven. 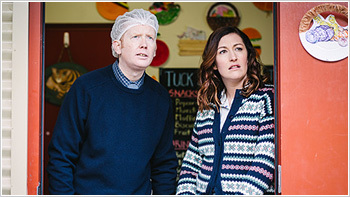 Emma and Daniel are united in the final episode of the second series. With his first auction looming, Emma is helping Daniel practice his auctioning skills. However, their reverie is short-lived when Barbara announces a staffing change. She must let Emma go, but has secured a trial position for her at the local bank. 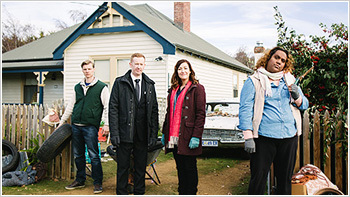 Despite Daniel's pleas for patience, Emma abruptly quits McCallum Real Estate. The next day, whilst Emma is introduced to the dull world of banking, Daniel is forced to host the auction without his greatest ally. In front of a hostile crowd on auction day, Daniel could really do with his best friend right now.